"This singer has a good vocal voice, I like the lyrics and the songs how he has made it. The songs are joyful and I like the style he uses in the songs, this singer puts his emotions into the song". Ace is an extremely charismatic young artist. He has uniqueness to him not found in many youngsters today. He is hard working, motivated and has a clear vision for his future. 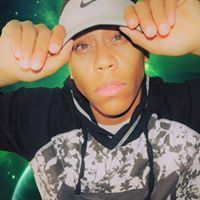 Fully committed to music, Ace does everything for himself; writes his own lyrics and music, promotes, and books his own shows/events, also submits his music for air play. This young artist is always looking to collaborate with other artists of his own caliber. Ace is always looking to perform at as many events as possible such as concerts, festivals, charity events and birthday parties. He is a wonderful speaker, but more importantly he’s an avid listener. His coordination skills assist him in monitoring and assessing his own performances. Ace thrives to better himself and keeps himself aware of the reactions of his audiences, to help him do that. He is the type of artist who will continue to push himself until such time as his dream is reached and he is a success.